Thanks to the quick thinking of a police officer with the Glenn Heights Police Department, employees at a nearby Jack in the Box restaurant were saved from a burning vehicle stuck in the drive-thru lane. Around 9 p.m. Saturday, February 11, officers responded to the Jack in the Box located at 1703 S. Beckley Rd. 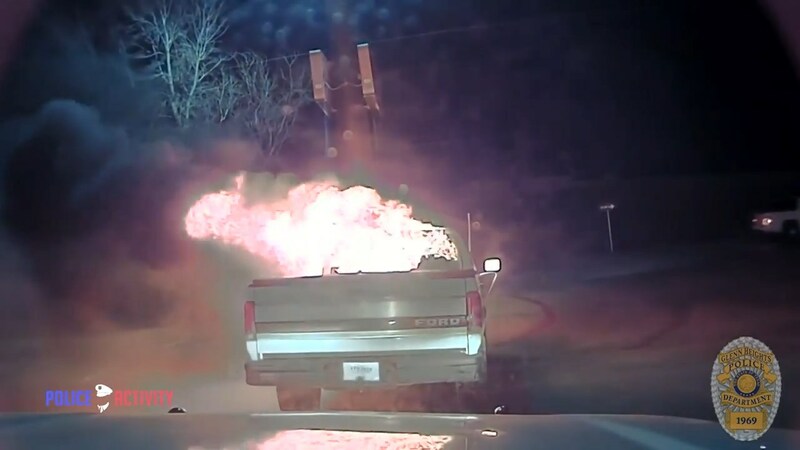 Upon arrival, officers observed a Ford truck engulfed in flames dangerously close to the structure. Officer Chris Womack was able to successfully move the vehicle away from the structure utilizing his patrol vehicle and no injuries were reported. The entire incident was caught on the officer’s dash-cam.